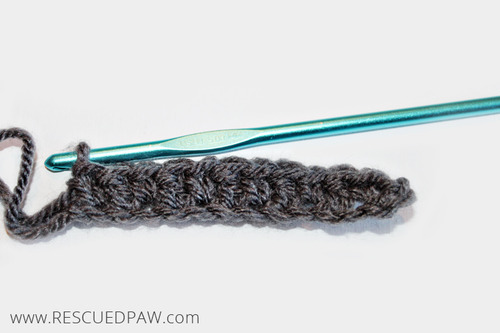 Learn all about the griddle crochet stitch with the step by step tutorial / crochet pattern below! 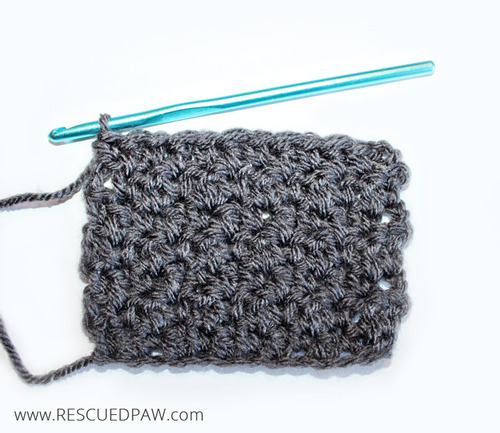 The Crochet Griddle Stitch is Easy to Learn & Looks Great! 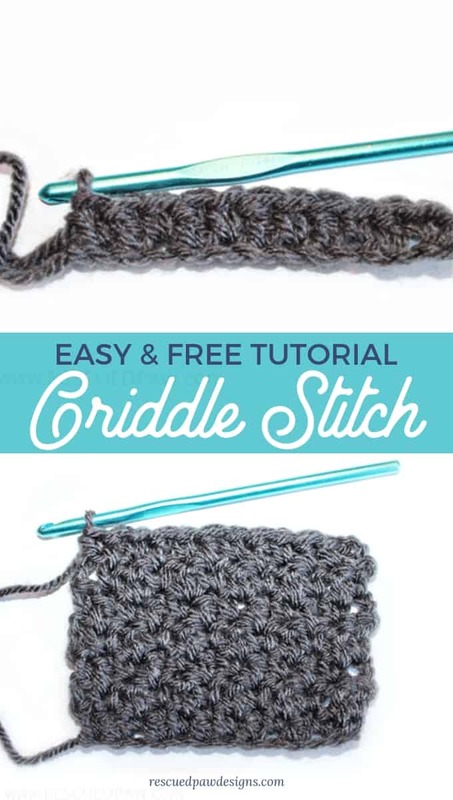 The griddle stitch is an easy stitch using a combination of basic crochet stitches to create a textured project surface. 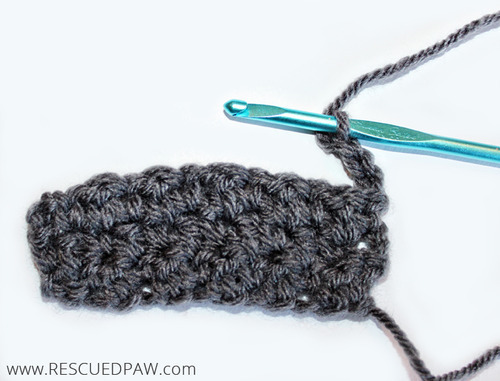 If you have ever wondered how to crochet the griddle stitch, then you have come to the right place! Read on down to get started today! 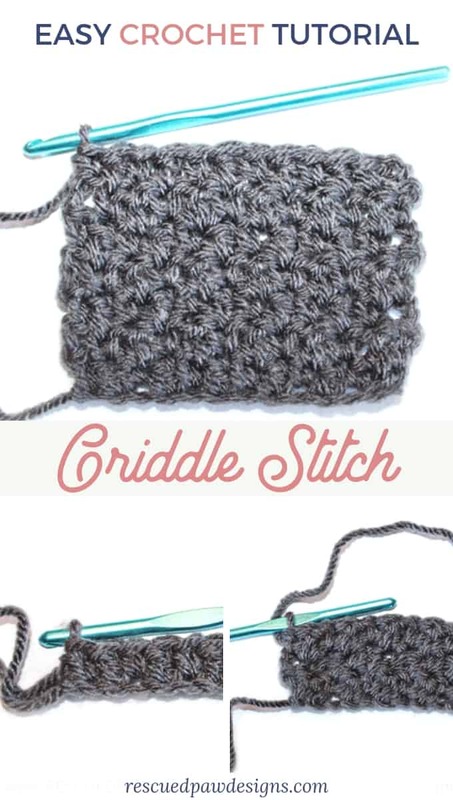 The griddle stitch uses a single crochet and a double crochet stitch which gives the crochet project a really awesome look. It really does create an interesting bumpy texture. 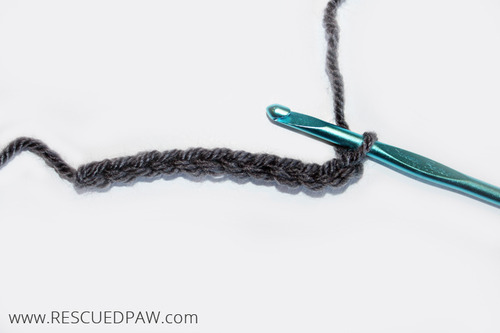 If you can crochet those two stitches then you are good to go! 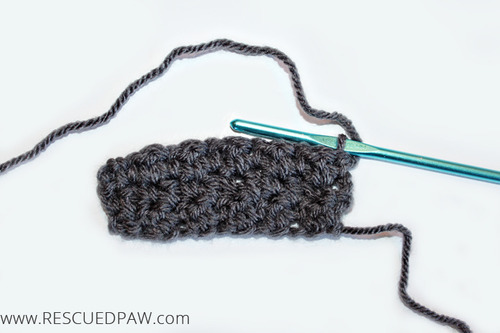 Since this uses simple stitches (single & double) it is perfect for a beginner crocheter to try. 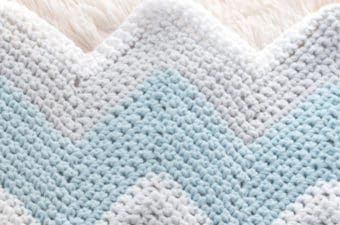 I promise this is an easy stitch and if you are feeling adventurous I’d suggest making a chunky baby blanket using bulky yarn & this stitch. For this sample I used Lion Brand Vanna’s Choice yarn & a size H crochet hook. If you’d like to make this a bulky yarn that would work too and it would work up fast also. 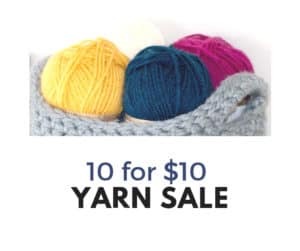 Just remember that whatever yarn you pick be sure to use the corresponding crochet hook size as stated on the package. 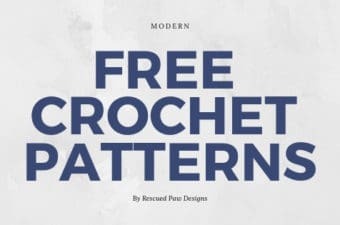 Read on down for the full free crochet griddle stitch tutorial! 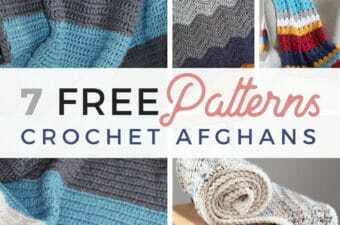 I hope you enjoy this pattern. Row 1: Skip 3 CH (counts as 1 DC), 1 SC into next CH, 1 DC into next CH; repeat across ending with 1 SC into last CH, turn. Row 2: CH 3 (counts as 1 DC), 1 SC into next St, 1 DC into next ST; repeat across ending with 1 SC into last ST, turn. 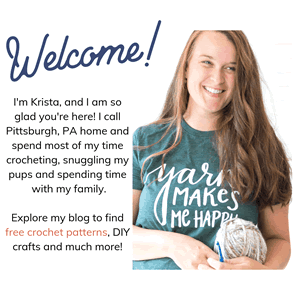 You made the griddle stitch in crochet! Thanks for looking at this griddle stitch crochet technique and if you want more crochet inspiration you can follow me on Pinterest HERE!! Griddle stitch row two had me confused. There are no chains to stitch into in the second row; there are only SC and DC from row one. Should the SC go into an SC from the first row or into the DC of the first row? I updated it to say ST’s! My mistake. 🙂 Thanks!